For those crazy, busy days, dinner is probably the last thing on your mind. At least it is for me! 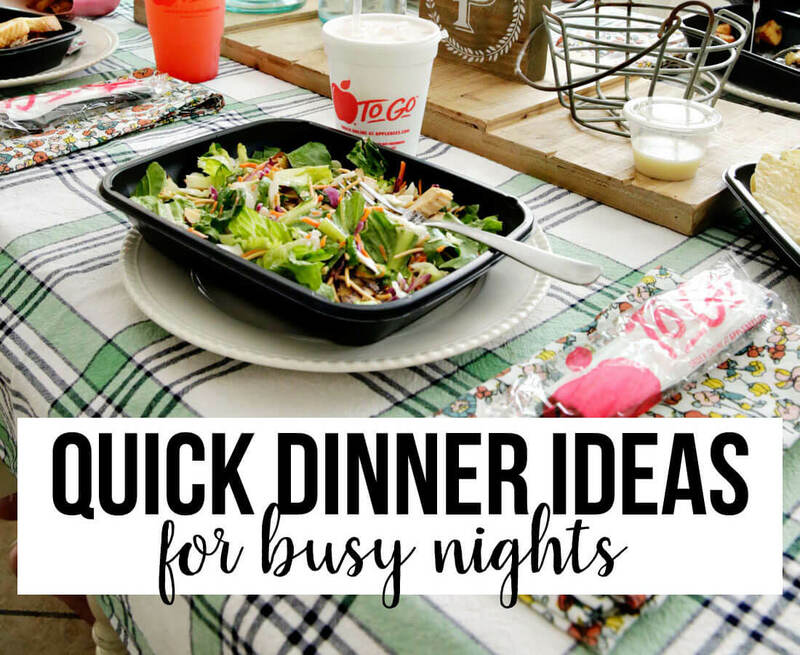 Use these ideas for easy dinners to have one less thing to worry about. 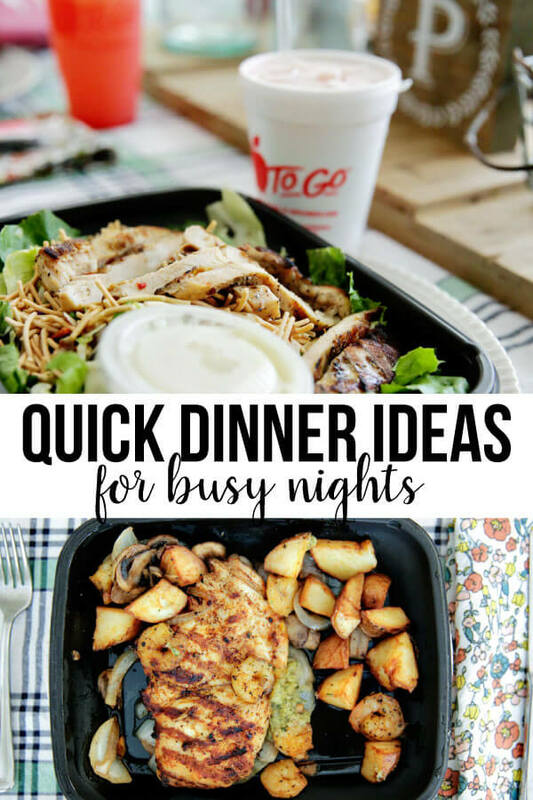 The truth is that I’m always looking for quick and easy dinner ideas. 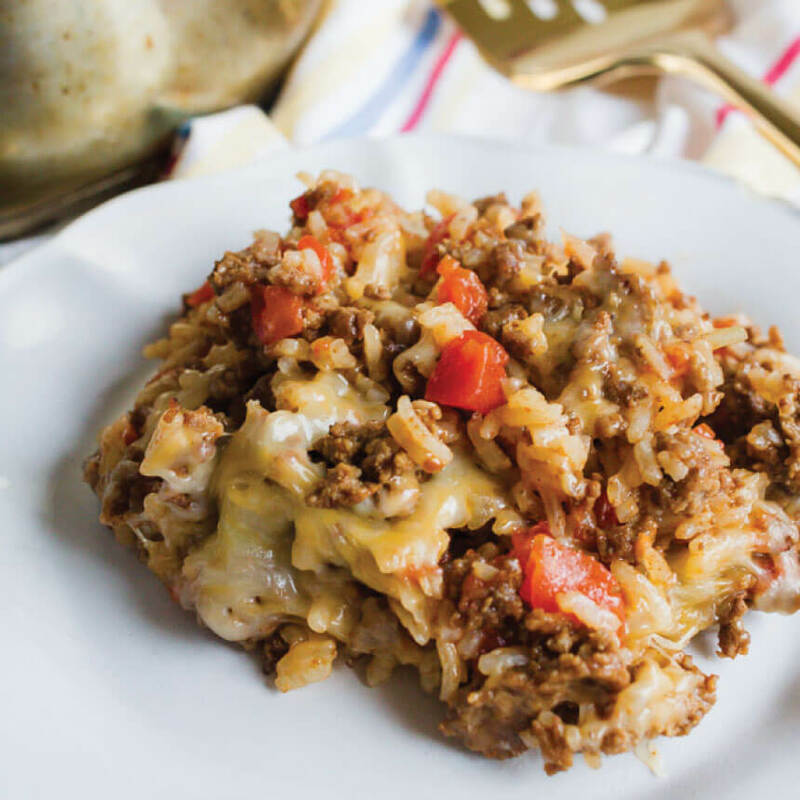 For 20 years I’ve made dinners for my family and usually I whip up something that is good, fast and easy. But what I haven’t talked too much about are the days that you just can’t get dinner done. You’re running in a million different directions, appointments, places to be.. so making dinner is the last thing on your mind. As my kids have gotten older and more busy, this has happened a lot. Back to school seems to be the worst because we have activities and meetings and more. 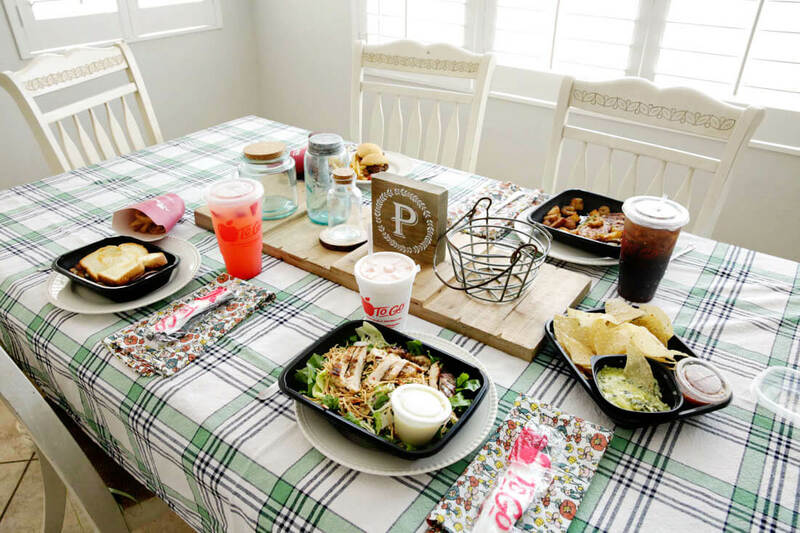 I partnered with Applebee’s to talk about Carside to Go as the perfect option on those days! 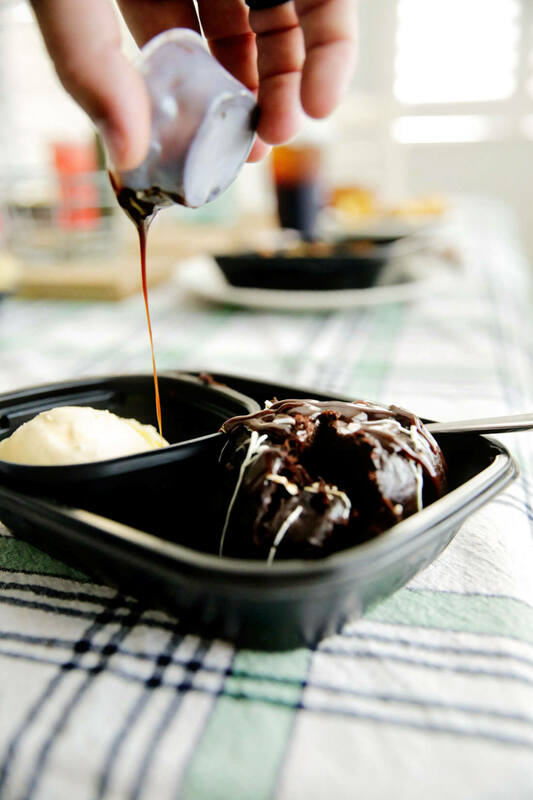 So what is Applebee’s Carside to go? 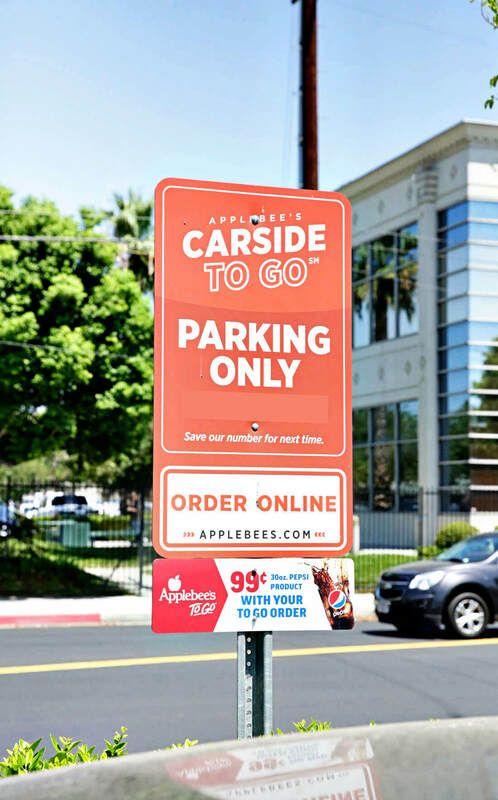 With Carside to Go, you hop online and order your food from the Applebee’s menu. It took Josh and I less than 2 minutes to pick everything out and send our order. We set the location and the time to pick up our food. When you select the Carside option, they ask you to put in your vehicle make, model and color. 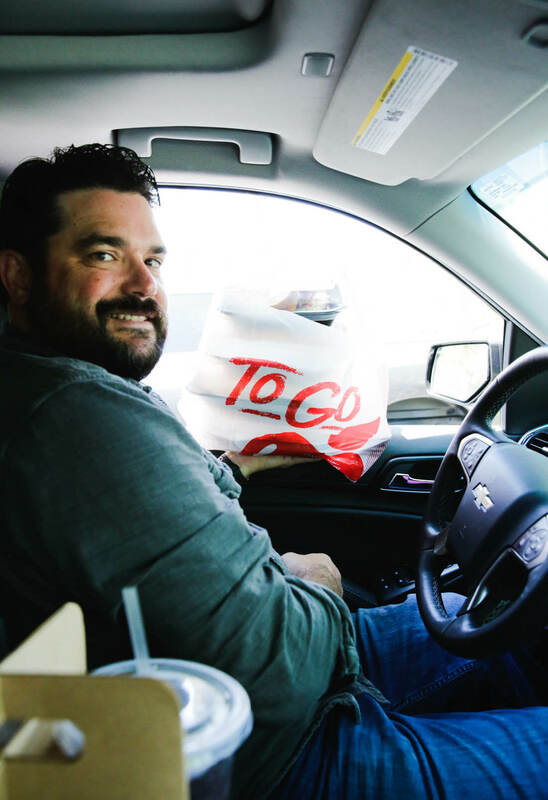 When you pull up to the restaurant, they will be able to spot your car and bring you your food. In the middle of running errands for Back to School, we went to pick up our order. 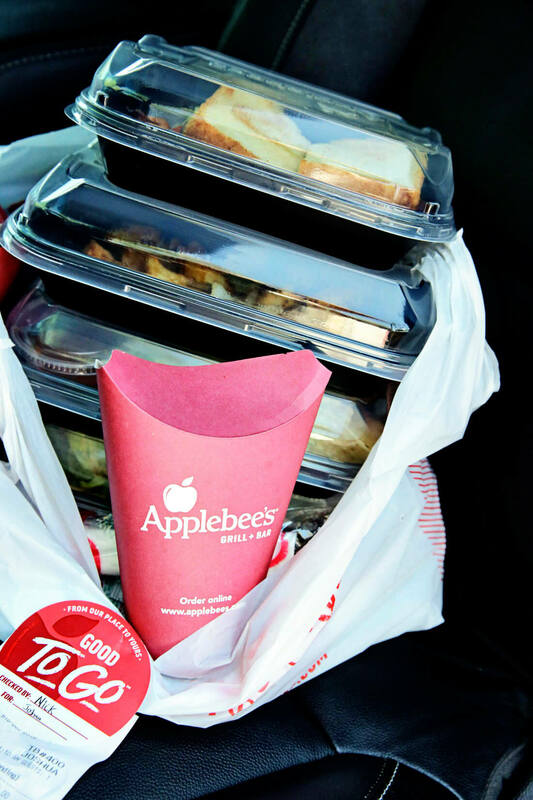 Note: You can also use the Applebee’s app or call the restaurant for Carside to go. We pulled into the designated parking space and someone came out with our receipt to check everything, then came back with our food. They went through all of the bags to make sure nothing was missed. I liked how it was packaged up. Sometimes things are sloppily packaged and a mess when you get home with them. All of the items we ordered were well put together and made it home in one piece. So in the middle of a crazy, busy day, we were able to sit down together and eat as a family. That doesn’t happen a lot these days! 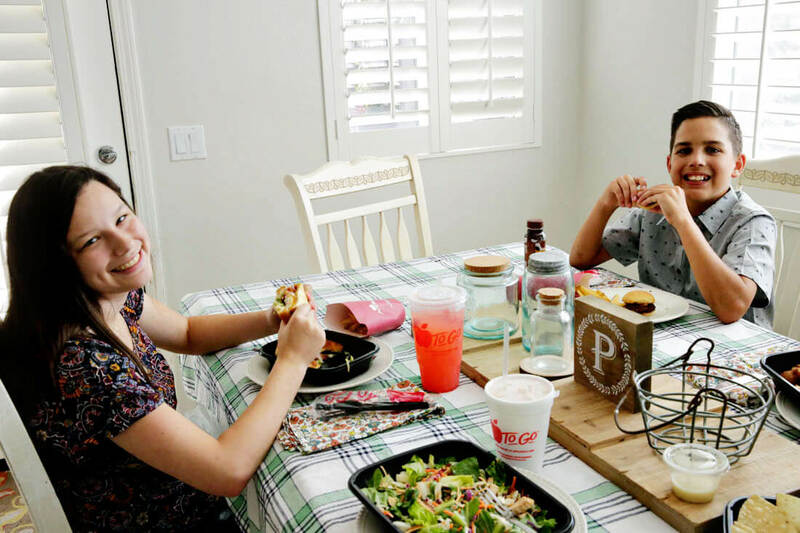 We got a little something for everyone: a sandwich for my daughter, kids meal for my son, a salad for me and a chicken and shrimp dish for Josh. Applebee’s has a big menu with a lot of options! Luckily there are specials at Applebee’s and we took full advantage of them. We ordered a 2 for $22. We were able to pick out an appetizer and two entrees. It was a super good deal. We added on a dessert to one of the meal and my family was thrilled! Right now you can order online and use the code 5off25 to get $5 off of your first order of $25 or more!